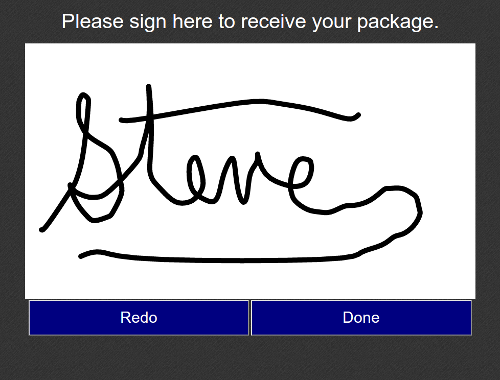 Let Users Draw On Your Website. You shouldn't have to spend time reading tutorials and documentation just to get started. 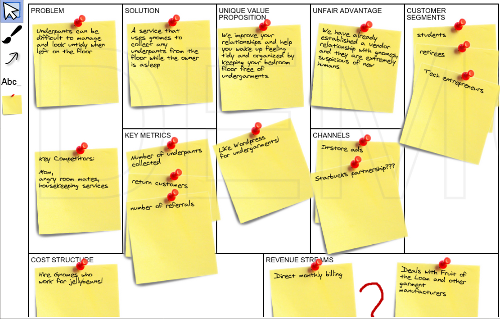 The smart choice is to describe what you want, and let an expert make it happen for you within days, while you work on running your business. Click on these demos to try it for yourself. Your application should be ready for touch, and automatically adapt its user experience for its environment so that it is a delight to use on a touch screen. You will be able to support all major browsers, from the ancient to the bleeding edge. Paste this into your HTML right now. A comprehensive Developer Guide is available. You should have a drawing solution that you can trust. 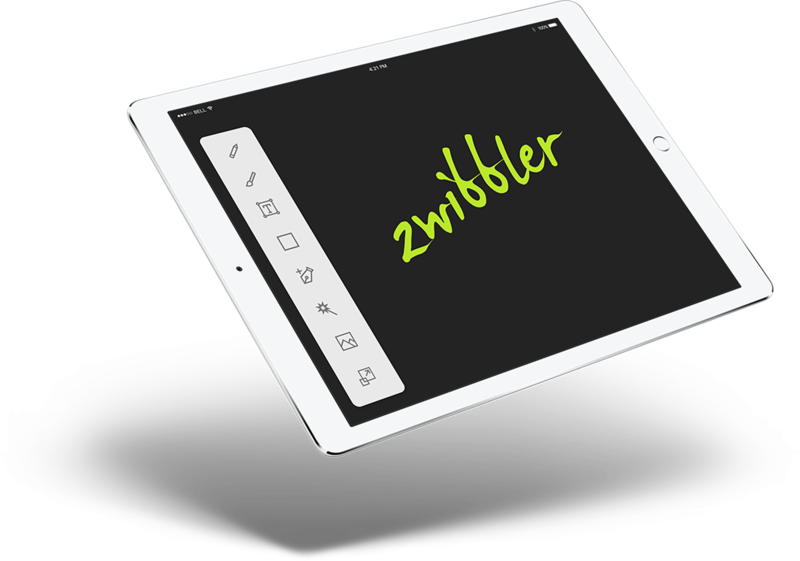 Zwibbler has had five years of improvements and fixes to support generations of browsers. These are some of the companies that have trusted Zwibbler in their products. Use your own toolbars and icons. Every aspect can be configured to achieve exactly the right look for your application. 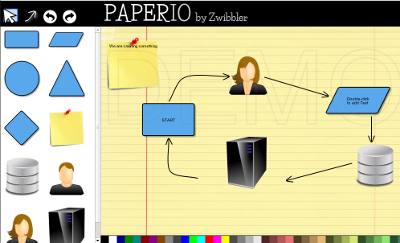 The document can be exported to PNG, PDF, or SVG and stored on your server. No server is required for PDF creation. With vector based drawing, shapes can be changed after they've been created. 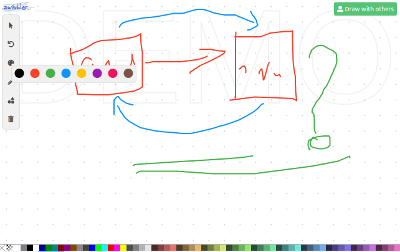 Let your users draw in realtime using a shared whiteboard. Darken everything outside a region. Great for for video telestration. Videos and other HTML frames can be placed onto the canvas and manipulated. Users can quickly correct mistakes. Documents can have multiple pages. A4, letter, legal, and other paper sizes are drawn on the screen. Shapes can be drawn in a variety of styles. Dashes can be configured to be different lengths. The magic shape brush turns scribbles into neatly drawn regular shapes. The arrow tool can be filled, solid, single, and double-ended. Text can include linebreaks and will reflow automatically. HSV wheel and paletted colour pickers are built in. 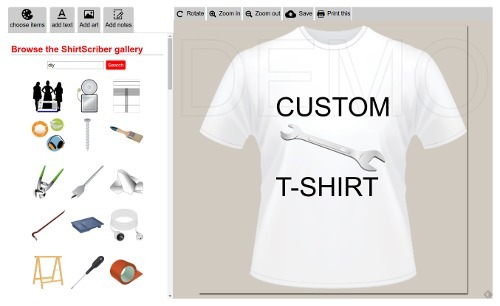 You can configure layers to be locked in place, so users can only draw on top of them. Send shapes to the front or back to change the ordering. Zoom in, out, to page width, or full-page. 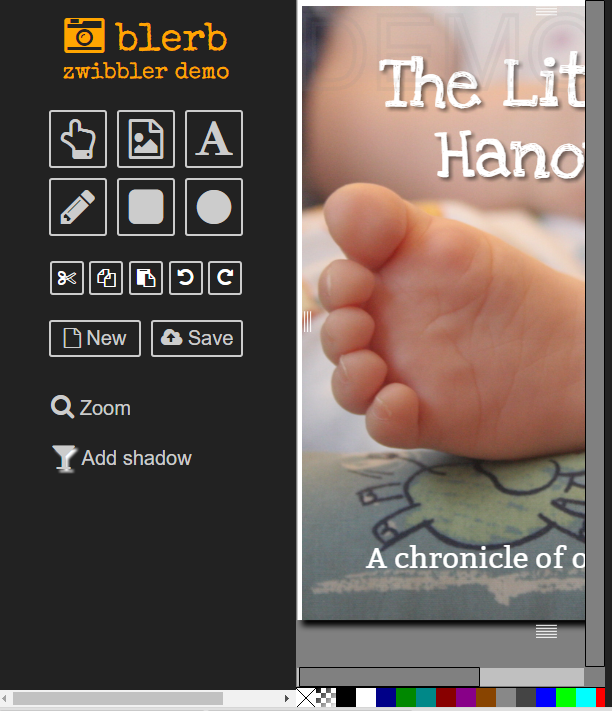 Built-in scrollbars let you draw on a canvas larger than the screen. The hand-tool lets you drag the whole display. Rounding is not just for rectangles. Any shape can have an optional rounding added. With snippets, you can save parts of drawings to a picture library to use again. Drag and drop images onto the canvas. Touchscreen support is automatically detected and used. The canvas can be locked in place so it looks like an image. 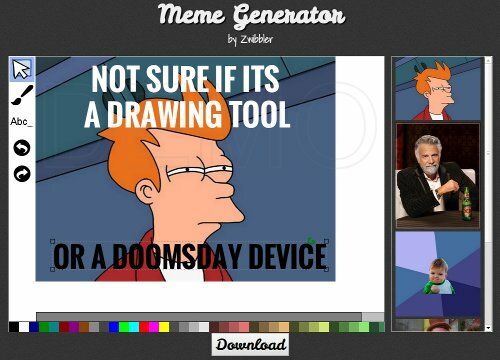 Users with special needs can select tools and draw without a mouse. Easily translates to any human language. If you choose, you can run it on your server to generate images. 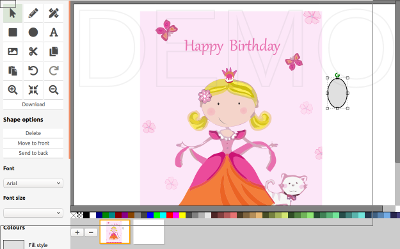 A customized demonstration page, based on your sketches or feedback, that you can drop into your application right away.